MoreWith experience of over 20 years we understand that coping with family disputes and divorce can be frustrating, confusing, and traumatic, jeopardizing the well-being of your family, your children, and your property. 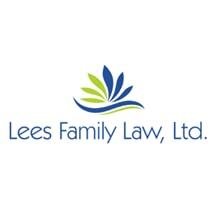 Lees Family Law, Ltd. is committed to quality legal representation of its clients, which includes education, service and guidance. Our promise to our clients is that we will do our best to properly represent, protect and advance their interests. We are dedicated to...With experience of over 20 years we understand that coping with family disputes and divorce can be frustrating, confusing, and traumatic, jeopardizing the well-being of your family, your children, and your property. Lees Family Law, Ltd. is committed to quality legal representation of its clients, which includes education, service and guidance. Our promise to our clients is that we will do our best to properly represent, protect and advance their interests. We are dedicated to empowering you by giving you the information, knowledge, and counsel you need to understand Minnesota family law and reach informed decision about the family law issues affecting you.